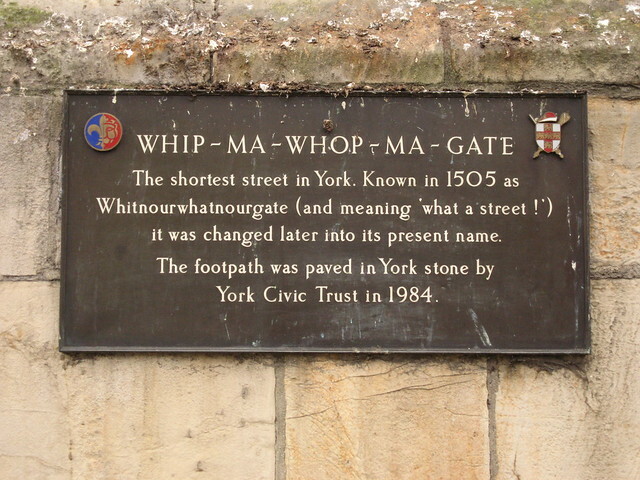 Whip-Ma-Whop-Ma-Gate. The shortest street in York. Known in 1505 as Whitnourwhatnourgate (and meaning 'what a street !') it was changed later into its present name. The footpath was paved in York stone by York Civic Trust in 1984.